Click here to see our Events picture gallery. 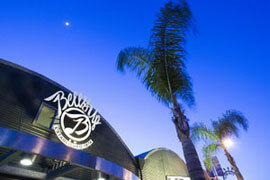 Belly Up may be known as San Diego’s best live music venue, but it is also a unique, first-class atmosphere with a true Southern California feel. 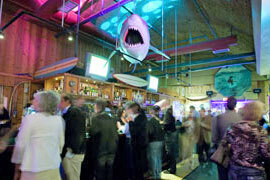 We have the ability to transform the venue into any theme you can imagine. 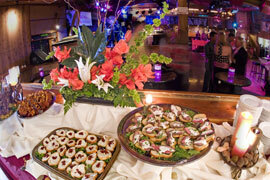 Use your imagination…we can do a formal seated dinner for 100 or a cocktail reception for 600. On a budget? Belly Up is also avail for matinees (Sat & Sun, 3 hour window), happy hour buy outs (Friday only, 5-8pm) and group sales into shows! Q: Can minors attend private events? A: No, unfortunately, Belly Up is a 21+ venue by law. A: 1:00 a.m., We would like to have staff out by 1:30. Q: Can we bring in alcohol? A: Because we hold a public liquor license all alcohol service must go through the Belly Up, but we can tailor your bar service to fit your budget! Q: Can we bring in our favorite caterer? A: No, all catering is service through the Wild Note Café. Our chef will tailor a menu to your palette & budget! Q: How many guest can the venue accommodate? A: 600 for a cocktail reception. For a dinner, up to 350 will fit comfortably in the Belly Up. If the party #s increase, we recommend utilizing the Wild Note Café and possibly the outback lounge for additional seating. Ask Beth for more info.